Killzone developer Guerrilla Games are mixing things up with their new game. Horizon: Zero Dawn is a brand new IP that looks gorgeous, and with some incredible gameplay possibilities- it seems like the studio, freed from the shackles of Killzone, is finally getting the chance to flex its creative muscles a bit. But it will differ from Killzone in many other ways, too. For instance, the game will not have any traditional multiplayer modes- the core of the game, according to Guerrilla, is the single player experience. “The core of the game is a single player experience, but there are certain social features in there,” said studio art director Jan Bart Van Beek and lead producer Lambert Wolterbeek Muller in an interview with GamesRadar. 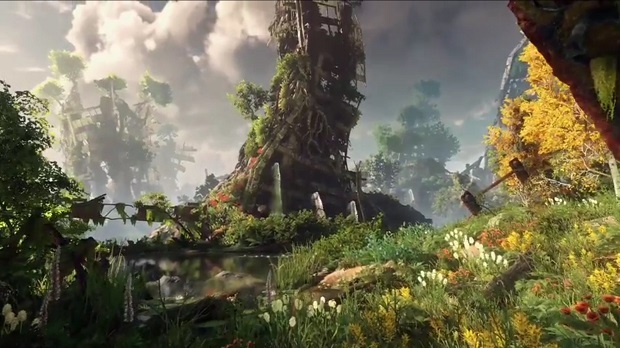 They also discussed the game’s open world, making the now standard promise that everything that you see would be somewhere that you can traverse to. They talked, too, about the game’s RPG elements. Horizon: Zero Dawn launches exclusively on PS4 some time in 2016. Stay tuned to GamingBolt for more coverage and information.